Utah law as of 09/2017 defines domestic violence crimes as follows at Utah Code Ann. 77-36-1 (2017). (p) child abuse as described in Section 76-5-109.1. As you can see, many offenses in the State of Utah qualify for a domestic violence tag which have significant collateral consequences. Further, domestic violence offenses qualify for enhancement. Meaning, that if you accumulate two more convictions within a five year period, the pending charge can be enhanced one grade up, to a Felony or higher grade Misdemeanor. A Utah conviction for domestic violence will bar you from owning or possessing a gun and much more. The gun restriction consequences of a domestic violence conviction are very difficult to reverse. The Lautenberg Amendment to the 1986 Gun Control Act restricts those with a conviction for a domestic violence misdemeanor crime from using, possessing, or transporting a firearm/ammunition. For hunters and gun lovers, it is very serious business. If you are convicted of Custodial Interference, your driver’s license can be suspended for up to 180 days. Often, domestic violence cases have numerous defenses and the stakes are high. 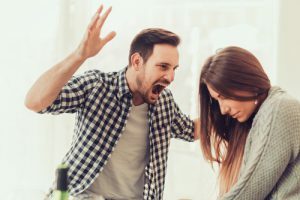 If you are charged with a crime of domestic violence, you should consult a Utah trial lawyer who is capable of trying the case in front of a jury. Contact the experienced Utah domestic violence attorneys at Howard Lewis & Petersen, PC to try your case.